Christmas season will always be the time for gift-giving. It doesn’t matter how simple and cheap your gift is as long as it comes from the heart. You can find lots of gift ideas that you can give to your loved ones and friends on Christmas thus making it hard for you what to buy. Aside from that, you also have to expect to deal with the crowd when looking for Christmas gifts that will surely add to the pressure you feel. 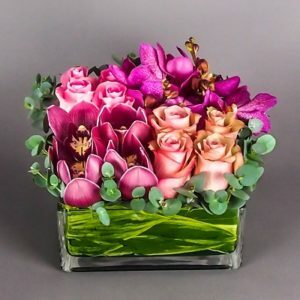 So to help you come up with the right gift, it is best that you take advantage of the internet and look for a cheap flower delivery Singapore. If you want to save time and money for Christmas gifts that you can give to your wife, mother, and to your grandmother, then a bouquet of flowers is indeed a perfect idea. Flowers are widely available and you can even order from an online florist especially if you don’t have the time to drop by a flower shop. There are endless options you have when searching for the selection of flowers online. The good thing is that you can already have an idea what the flowers will look like before giving it to the recipient. You are free to choose the best flower arrangement that could make any girl smile. Flowers can be the sweetest way for you to thank your mother with all the hardships she had done for you. 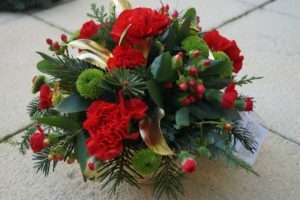 No wonder why florist delivery is in demand on Christmas because people have realized that sending flowers would be far better than purchasing an expensive gift. You don’t even have to give the flowers personally making this an ideal gift for someone who is far from you. All you have to do is to look for a trusted florist online that provides same-day flower delivery without charging much to their customers. However, it is best that you place your order as early as possible especially during holidays because it is expected that florists are busy and might also charge expensive fees for the delivery. This can also be your chance to get discounts and great deals from a good florist. Sending flowers on holidays especially during Christmas can be a simple way for you to say “I love you” or to say “Thank you” to people close to your heart. In fact, you can give them flowers anytime you want to, making them feel how important they are to you.